This story is incredibly moving and deals with some heavy topics but all told from an overwhelmingly sensitive voice. 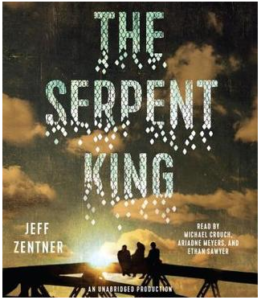 I was blown away by the quality and style of Jeff Zentner’s writing – this book made me feel so much – it awoke my soul and brought forth every emotion you could possibly imagine. Not only did I laugh out loud but I also cried, real tears, just flowing forth like my heart were breaking – now that is good writing! I would recommend this story to anyone. I am not a big contemporary reader so was really surprised by how much this book sucked me in. Finally, it is important to note that I listened to the audiobook of this which had three different narrators for the three main characters – it was a fantastically seamless production!